On the 24th November, we held our annual Awards Evening. 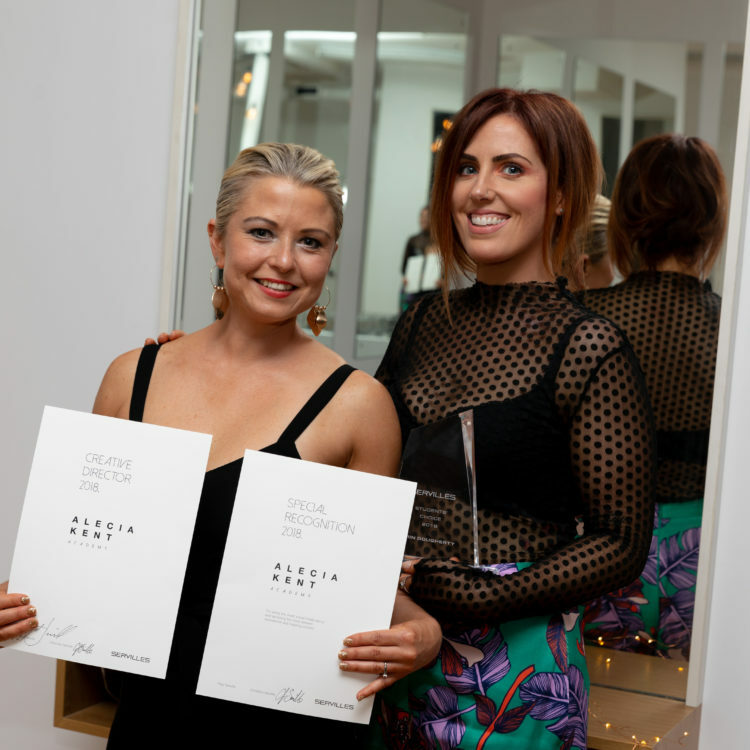 The evening is one of the highlights of the year, with the salons, stylists and Servilles Academy tutors eager to see who will be taking out the big awards. The awards evening was held in our new makeup building, located next door to the main academy building on Canada Street in the Auckland CBD. The open-plan setting and expansive deck area with a lit marquee was an ideal venue for the occasion. The evening commenced like any great awards evening, with bubbles upon arrival, followed by a welcome talk and summary of the year by the academy’s founder and director, Paul Serville who is this year celebrating his 50th year in hairdressing. Erin Dougherty took out the ‘Students’ Choice’ award. The recipient of this award is selected by the students, by allowing them to vote for the tutor they feel has made the biggest impact on their learning. ‘Educator of the Year’ was awarded to Cheryl Tierney, for her high performance in teaching. Cheryl has led the off-job department at the academy for many years and was also celebrated for her commitment to the academy, working here for over 13 years. Alecia Kent was announced as the academy’s ‘Creative Director’ for 2019. Alecia was also given a Special Recognition for her engaging and educational social media content (you can follow Alecia on Instagram: @alecia_k_hair). The night was a memorable one, with the whole company being able to come together to celebrate the successes of the business as a whole and the personal successes of each of our winners. To see a couple more photos from the evening, click the Photo Gallery tab below.